I am a person of roots and routine. Are you? Do you grieve when it’s time to leave one community for another, because emotional attachments have grown deep? Do you take comfort in familiar routine, because you can move forward with confidence? 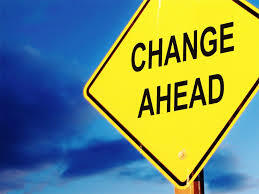 Then you’ll understand this statement: I am a person who struggles with change. So this post is for me, to review what I know about accepting–even celebrating–change. You’re welcome to read over my shoulder. Instead of change, I need to speak of the circumstances as an adventure. Instead of problem, I should say possibility. Instead of challenge, I can call the situation an opportunity. Such a small commitment, really. But retooling my word-choices could have a profound impact on my spirit. First, the change I don’t want to embrace takes on a glowing, new aura when I rename it adventure—the adventure of participating with God to bring about his good purpose (Romans 8:28). Such thinking would surely foster excitement! Second, the problem I see is nothing compared to the possibilities God is capable of. “God can do anything, you know—far more than you could ever imagine or guess or request in your wildest dreams” (Ephesians 3:20, The Message)! As I consider the possibilities, hope and anticipation will flourish. Third, the challenge I find so uncomfortable will undoubtedly provide opportunity to see God’s power and provision at work. Perhaps I’ll witness a whole string of God-engineered events. Or, the power and provision may occur in me, as he molds my personality and spirit into a more Christ-like version. (That is even more miraculous!) And who would turn aside from seeing—even participating in—a miracle? It begins with my words. This might sound strange to some, but thank you, Father, for the uncomfortable changes, challenges, and disappointments you’ve brought into my life. Not one of them was without purpose. Forgive me for the times I have fretted about how circumstances would turn out. How easy it is for me to forget that you hold all things in your hands. May I anticipate the adventure, the possibilities, and the opportunities of each day, NO MATTER WHAT, because you are by my side–my all-powerful, all-wise, all-loving God. Thank you for the promise that you WILL fill me completely with joy and peace as I trust in you. Then I can overflow with hope (Romans 15:13). Perhaps you can think of more. To be honest, the four determinants listed above can be difficult to provide. 1) College educations are expensive. 2) Opportunity often involves knowing the right people. 3) Effort and faith are personal choices. But Ruth Graham did not give the highest value to any of those words. She chose…encouragement. I’m struck by the simplicity of her statement. Unlike education, opportunity, effort, or faith, encouragement is something every one of us can provide for others. And encouragement is sweet! It’s delightful to give and delightful to receive. 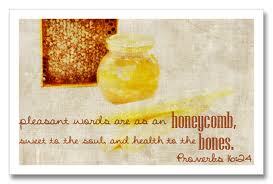 (“Pleasant words are like honeycomb, sweetness to the soul and health to the body” — Proverbs 16:24). One thing about honey, though. A little bit goes a long way. Same thing with our words, even words meant to encourage. There’s a thin line between having said just enough and having said way too much! King Solomon also shared wisdom regarding the words we speak: “The more talk, the less truth; the wise measure their words” (Proverbs 10:19, The Message). 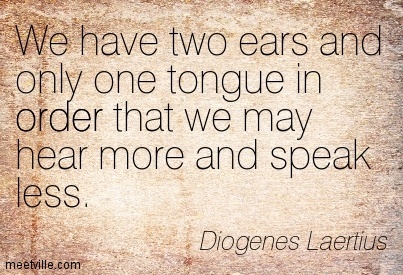 So what measured words might be the most beneficial, as we seek to encourage others? These tips have been helpful to me; perhaps you’ll find them useful also. Affirmation. Statements that begin with, “God has SO gifted you with…” Then name the strengths, talents, and personality traits you see. Give examples of when you’ve seen those attributes demonstrated. Prove to them they are strong-spirited, intelligent, etc. The nice things we’ve heard about that person. Always pass on the positives! Encouragement may be quite easy to supply, but is nevertheless a precious and powerful gift. It may keep someone from the cliff of failure. 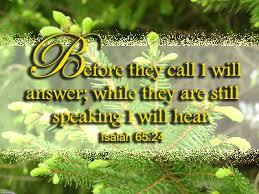 Thank you, Father, for the privilege of being your voice to minister to others. We pray for your Spirit’s wisdom and strength to work in us and through us as we offer encouragement. In the name of Jesus, amen. What words of encouragement have been an inspiration to you? Tell us your story in the comments below. Two weeks ago Steve and I enjoyed a visit with friends we’ve known since college. Last week it was with two other couples we’ve also known for many years. Shared memories include experiences at church, exceptional dinners at restaurants, excursions to other locales, watching each others’ children grow up, and more. Every time we get together, there’s much story-telling, teasing, laughter, and reminiscing. One special delight of old friends is the “memory back-up” they offer. “Who was the guy that…? Have you experienced the flow of feel-good endorphins after such a reunion? Believe it or not, research has verified that our psyches benefit greatly from nostalgia. Might that positive outlook grow even stronger if God is included in the remembering? After all, he’s the one responsible for everything good that happens (James 1:17). He certainly deserves our gratitude for delightful memories. Each one is a manifestation of his loving care and provision. With the remembering, we can give God praise: “The Lord has done great things for us, and we are filled with joy” (Psalm 126:3). 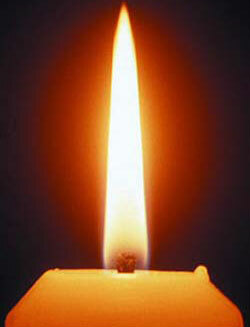 And with the remembering, we can strengthen our faith for the future. He did not forsake those who sought him (Psalm 9:10). He encouraged and listened to their cries (10:17). He delivered them from all their fears (34:4). He helped and comforted (86:17). Oh, Lord, as I think about my life journey or read my blessings journal, I see your faithfulness displayed again and again. Thank you for the gift of nostalgic remembering, which expands our joy, encourages our spirits, and grows our faith. Ever had a pending appointment you didn’t want to keep? A person you didn’t want to encounter? A task you didn’t want to complete? Some days are filled with unpleasantries. And if I’m not careful, it’s an easy slide down into a gloomy funk. What a lousy day this is going to be. I sure hope So-and-So is in a good mood for that meeting this afternoon. Last time he was as irritable as Oscar the Grouch. And while I’m looking forward to that (Ha-Ha! ), look at this impossible to-do list. Talk about crazy. And then there’s our double-date tonight with that new couple from church. I am in no mood to be sociable. All I want to do is go home, put on my sweats, and park on the couch! Can you identify my problem here? I’m focusing on the negative. The solution is obvious: turn my thoughts to the positive. But some days that is next to impossible. It’s as if the problems and challenges are shouting giants, jumping up and down, with arms waving no less. They block any view of the positive. Making the effort to think about praiseworthy things works for a while, but those negative thoughts often return, unbidden and oh, so unwanted. To make matters worse, I feel guilty for allowing those giants access to my mind and spirit. Why can’t I get rid of them once and for all? Maybe I’m not supposed to. Maybe God wants me to become more watchful, to learn perseverance, and to practice proactive behaviors, like gratitude and praise. But one strategy for fighting the giants is particularly important: Get out my sword. I’m talking about the Sword of the Spirit, which is the word of God (Ephesians 6:17). Scripture is full of wisdom and encouragement for doing battle, like Psalm 73. Asaph writes about his challenge: arrogant and wicked people (v. 3) who scoff and speak malice (v. 8). “What is going on here?” he writes. “Is God out to lunch? Nobody’s tending the store. The wicked get by with everything; they have it made…When I tried to figure it out, all I got was a splitting headache” (vs. 11-14, The Message). Sounds like the giants of negativity had been pestering Asaph, too. “You [God] hold me by my right hand. My loving Heavenly Father holds me by the hand, offering protection and security. He guides me with wisdom, especially through his Word, infusing me with comfort and strength. God gives me perspective for my earthly troubles as I look forward to blissful eternity with him. Thank you, Asaph. I’m going to memorize those verses so they’re ready to draw like a sword—on a moment’s notice! 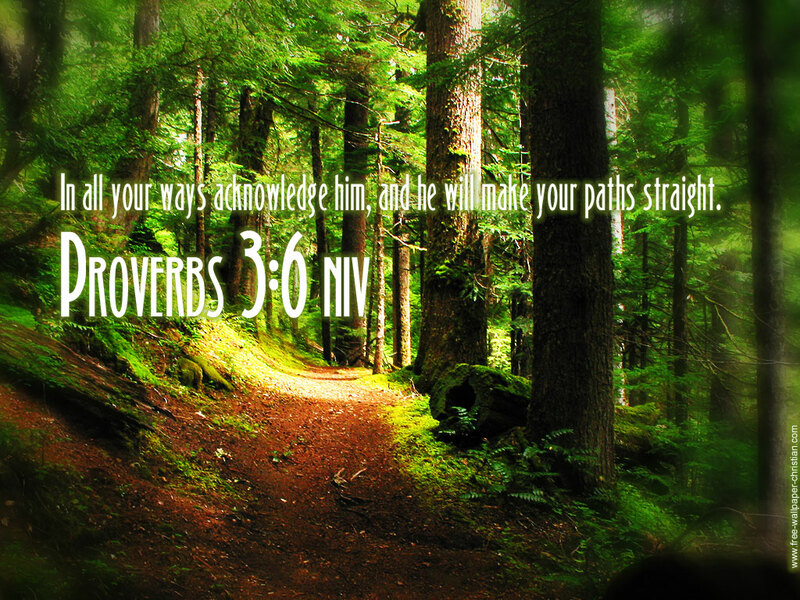 M-m-m. God will make my paths straight? Sounds as if he is promising a life of ease on a flat, straight course. Smooth transitions from Point A to Point B. But I know God doesn’t work that way. Life on Easy Street can result in laziness and worthlessness. In checking other translations of the Bible, I discovered fresh insights for this familiar verse. And my personal favorite: “He’s the one who will keep you on track” – The Message. …we can trust the One who knows us better than we know ourselves. After all, God made us. He can be trusted to choose just the right path for each of us. “He will teach [us] his ways, so that [we] may walk in his paths” (Isaiah 2:3). …we don’t have to direct our own steps. In fact, “It is not for man to direct his steps” (Jeremiah 10:23). How wonderful to depend on God, who can see into the future. We certainly can’t! …He won’t just set us off in the right direction, then leave us to our own devices. He will remain by our side, providing guidance all along the way. Our God is all-wise; we are not. I’m remembering a visit to the Governor’s Palace in Colonial Williamsburg, Virginia. 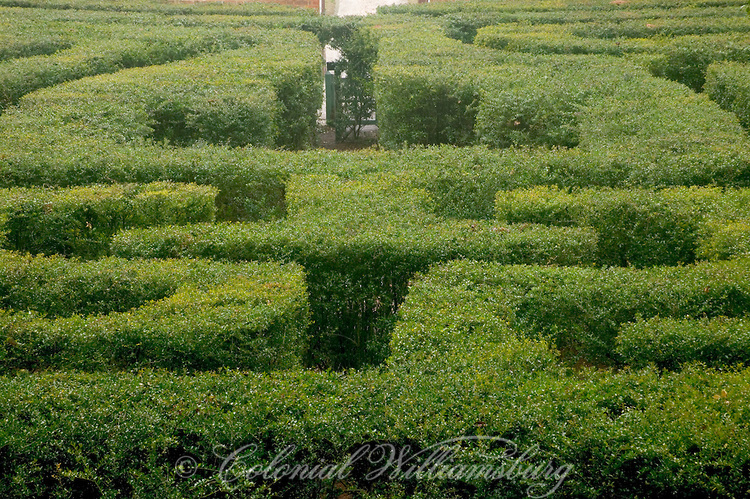 In back of the large home is a labyrinth of boxwood bushes, replicating the maze that was first constructed there hundreds of years ago. Children and adults alike find it hard to resist the challenge, including me. Oh, my. With my lousy sense of direction, I became hopelessly lost. Every time I thought the next corner would be the way out, a wall of greenery would greet me. What I needed was somebody with a bird’s-eye view of the path who could tell me which way to turn. That’s exactly what we have in our Heavenly Father. “Whether you turn to the right or to the left, your ears will hear a voice behind you saying, ‘This is the way; walk in it.’” (Isaiah 30:21). Oh, Lord, help me to look up toward you—often! I want to walk the right path you have chosen for me, with confidence and strength, because I am trusting in you. May I turn my thoughts to you and your Word continually—so I can receive frequent instruction. And thank you for walking with me, offering support and encouragement, every step of the way. “Show me the way I should go, for to you I lift up my soul” (Psalm 143:8b). “Nancy, come here!” Tabbitha called, as she poked her head through the door of my classroom. Tabbitha taught across the hall from me. It was still early morning, and students hadn’t begun to arrive yet. “I want to show you something!” she beckoned. Tabbitha’s smile and sparkling eyes gave me a hint that, whatever her surprise, it was going to be good. Quickly she led me out of the school building and back towards the parking lot. 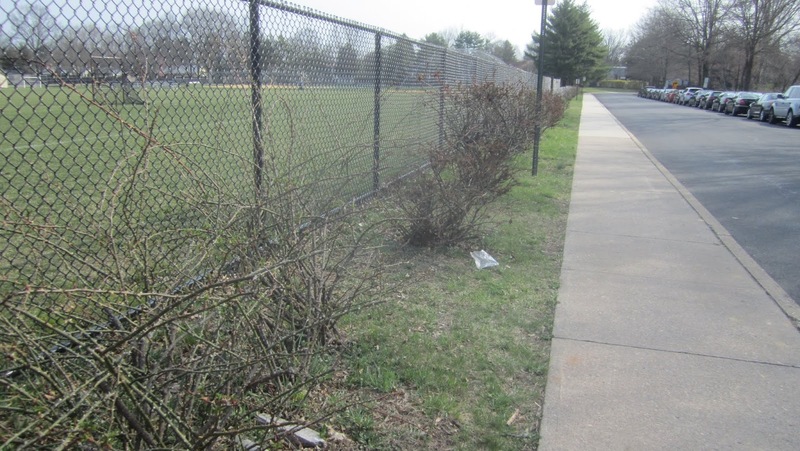 She stopped at a row of low, scraggly bushes that grew along the sidewalk. “Look!” Tabbitha cried, pointing down at one of the bushes. “Right here,” she said, and moved her finger closer to the object. My eyes finally focused on what she saw: a shriveled brown pouch adhered to a branch. 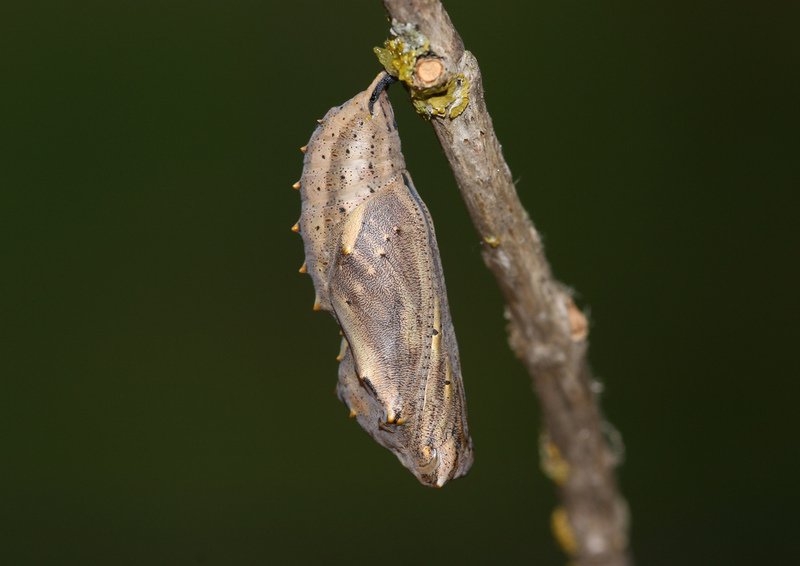 A chrysalis. I couldn’t remember ever seeing one in the wild before, only in a butterfly habitat. We studied the chrysalis closely, marveled at the miracle within, and wondered whether the end result would be a butterfly or moth. As for me, I hardly even noticed there were bushes along that sidewalk, much less a miracle taking place among them. My mind was always busy with the to-do list, lesson plans, students needing special attention that day, the emails to be answered, the meeting after school, etc., etc. Little Brooke taught me a lesson that morning: Pay attention! God is revealing himself to me every day—his creative genius, his loving care, and his wisdom. He arranges little serendipity gifts for me to discover. My challenge is to be watchful. The blessings are there, the joy available–not just in grand rainbows and sunsets that grab my attention, but in the sheen on rain-washed leaves or in the mesmerizing flicker of a candle flame. Joy is not the result of happy events, a collection of lovely things, or even near-perfect relationships with family and friends. Joy is experienced in the presence of God (Psalm 16:11). And when God and I together enjoy his creation, his people or his engineering of events, the joy becomes rapturous. However! 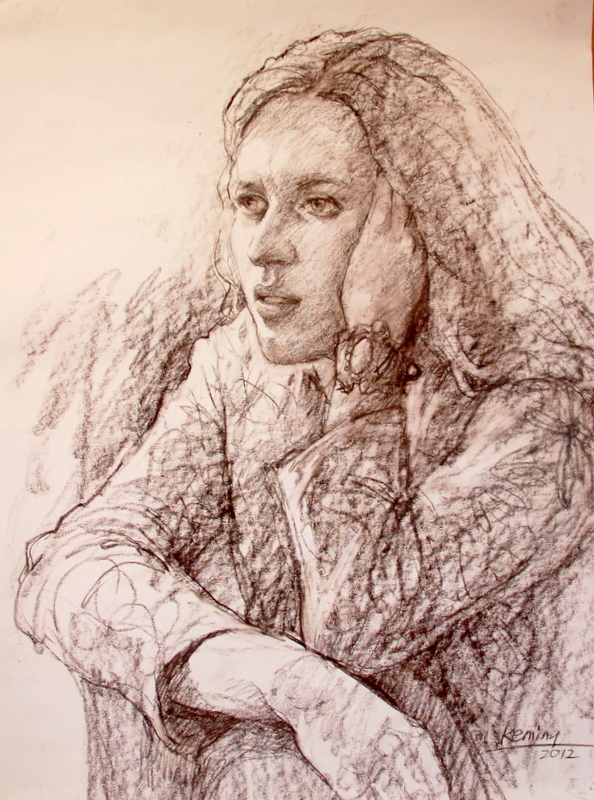 I have been a slow student to learn the habit of attentive living. I’m still developing a praise-frame of mind. Oh, God, thank you for lavishing gifts of love upon me each day. Thank you for filling me with eternal pleasures at your right hand (Psalm 16:11), all day long, now and forever. Yet there is more! Thank you that, as I celebrate these blessings together with you, my joy is expanded even further. Help me to become attentive like little Brooke. And perhaps, as I express my contentment in you and in all your gifts, your heart will be filled with joy as well.